President Donald Trump approved of the decision, but said of kneeling players, "maybe you shouldn't be in the country"
Eagles players, the team's owner and fans are among the many people reacting to the NFL's National Anthem policy. 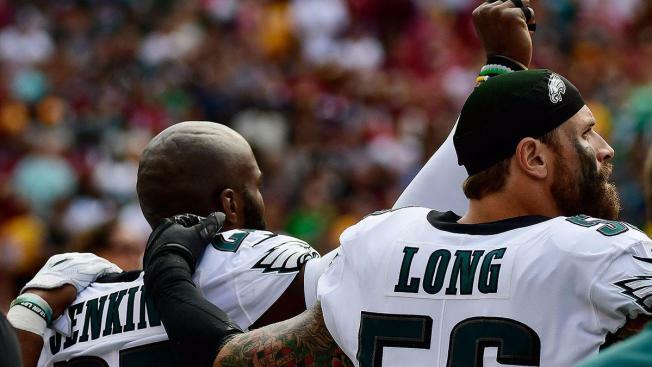 "This is a fear of the diminished bottom line," said defensive end Chris Long of the Super Bowl champion Philadelphia Eagles. "It's also fear of a president turning his base against a corporation. This is not patriotism. Don't get it confused. These owners don't love America more than the players demonstrating and taking real action to improve it." Trump stoked the issue during a political campaign, saying the NFL should fire any players who kneel during the anthem. During an interview that aired Thursday morning on "Fox & Friends," he praised the league for doing "the right thing." The NFL didn't consult the players' union on its new policy, though Goodell stressed that the league had talked to countless players over the past year and was committed both financially and philosophically to the fight for social justice. 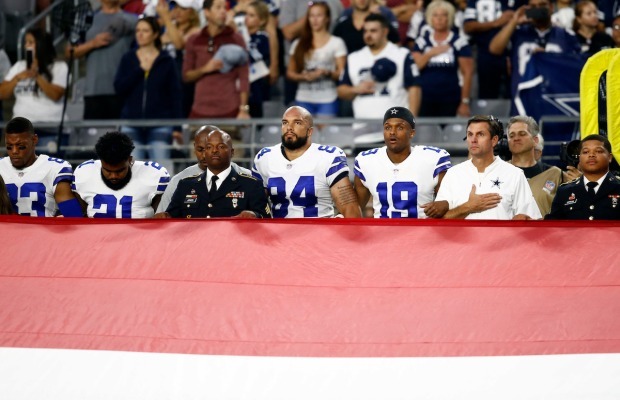 AP reporters counted more than 200 NFL players who did not stand during the national anthem before their games on Sunday. Six refused to stand the week before, mainly protesting police brutality. The head of the NFLPA, DeMaurice Smith, angrily denounced the NFL's decision and called it a blow against America's most basic rights — freedom of speech. But many players are mindful that Kaepernick, who began the protest movement in 2016 during his final year at quarterback for the San Francisco 49ers, didn't play at all last season and still hasn't been picked up by another team. 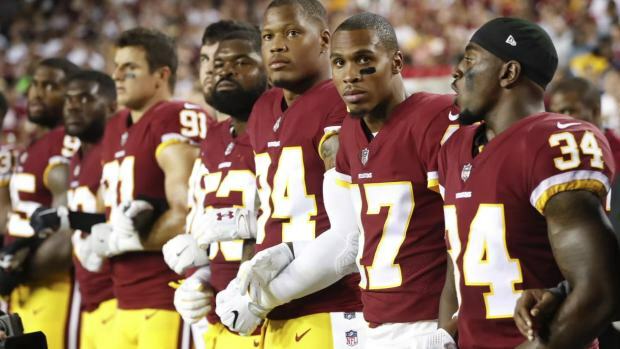 They're also aware of the plight faced by safety Eric Reid, one of Kaepernick's former teammates and another protest leader, who is also out of work with the upcoming season just a few months away. 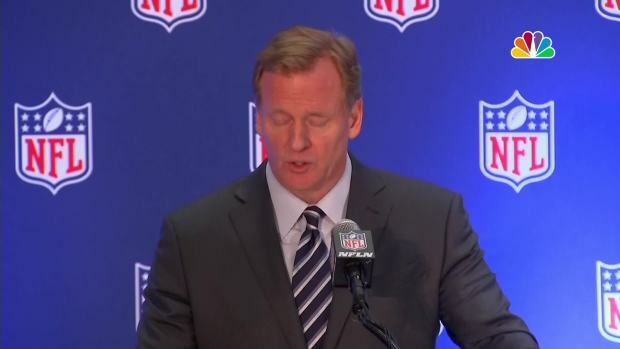 While Goodell said the new policy was unanimously approved by the owners, CEO Jed York of the 49ers — Kaepernick's former team — contradicted the commissioner by saying he abstained. York said he didn't feel comfortable making a decision without directly involving the players' union.